Go ahead, play with your food! 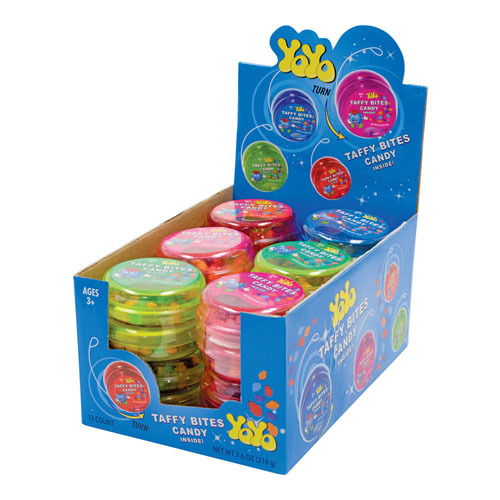 These fun Yo-Yos are filled with mouthwatering taffy bites. 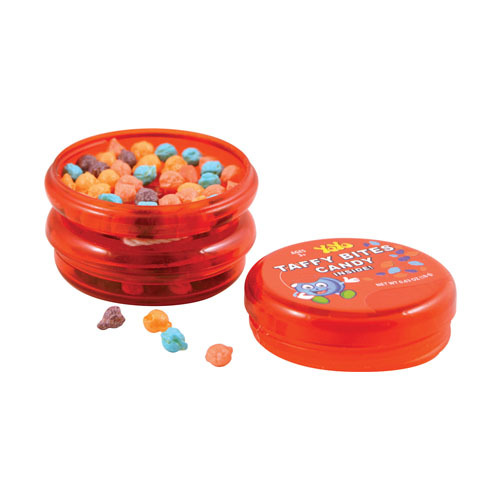 Each includes combination of Strawberry, Orange, Grape Flavors. 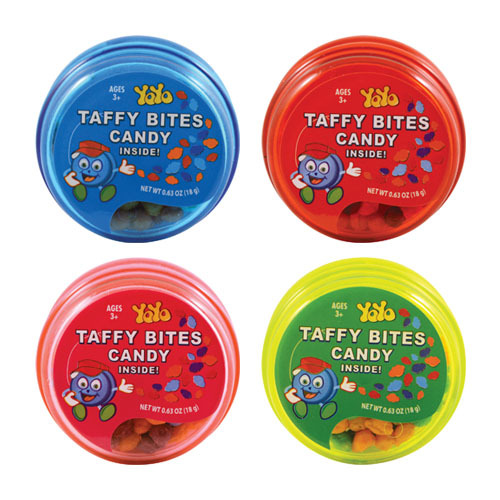 INGREDIENTS: SUGAR, CORN SYRUP, HYDROGENATED PALM OIL, WATER, CITRIC ACID, MALIC ACID, GUM ARABIC, CARNAUBA WAX, ARTIFICIAL FLAVORS, ARTIFICIAL COLORS: (BLUE 1, YELLOW 6, RED 40), GRAPE SKIN EXTRACT (COLOR).